The biggest and strongest economy in the world is in the verge of economic crisis. Most of the Americans feel that the deal signed by their President was a cruel joke on them and its a complete and total fraud. They stand in front of a whopping national debt of $14.3 trillion (1 trillion is 1,000 billion, 1 crore crore in Indian rupee). Any crisis in US is a concern to all nations around the world including emerging markets. But the question is how much we can isolate our economy from the impact of a double dip recession in US, which could eventually spread across the nations. Experts have an opinion that the impact on India on a macro basis is limited as compared to other emerging markets like Korea or Taiwan because we are not dependent on demand in the Europe and US. We have the domestic consumption story going for us and if crude much below USD 90, it would be the silver lining on inflation, sooner than later. India holds roughly US$41 billion worth in U.S. treasuries as foreign exchange holdings. 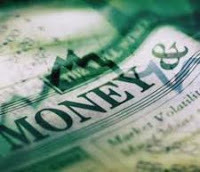 Any major disruption in the stability of the dollar will therefore have medium level implications on Indian Rupee. As the domestic economy is not insulated from the world economy, there will definitely be some tremors in India. Both imports and exports will be impacted. India’s exports to the US, particularly IT services, will have an adverse impact. “Any slowdown in the US will have an impact on India in terms of our ability to export,” said C Rangarajan, chairman of the prime minister’s economic advisory council, about the implications of US debt crisis on Indian economy. He also pointed out that Indian exports had declined sharply in the second half of 2008-09 due to a slowdown in the US economy. Share market is the most sensitive area in the economy of a country and it always marches ahead of the news. If a double dip recession materialize as we fear, it could have serious impact on market and we would eventually revisit the lows of 2008. At the same time, there may be higher inflows of foreign institutional investor (FII) funds. This will lead to the appreciation of the rupee, which in turn will help bring down the current account deficit. The RBI has said the country has sufficient liquidity to manage a possible US sovereign debt default. The RBI is prepared for any repercussions in the financial markets arising from any such eventuality. With a reasonably strong financial system in place, India is likely to bear the shocks, as in the 2008 turmoil. In nutshell, our fundamentals are strong enough to withstand a global crisis due to dollar meltdown. We need to have reforms and foreign policy changes to become more adaptive to the changing global economy. But its unfortunate that our political leadership and government are in a paralyzed stage due to the internal issues and scams that surround it.